Click on the image of the application on the right of your screen. When the image opens in a new browser, fill out the application, download, and upload your application with your ID and SS# information in the upload field below. 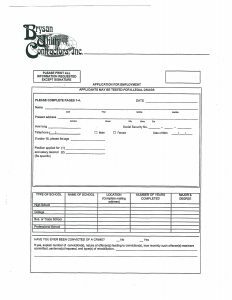 Click Here to fill out your application online. If your not able to fill out the application in your browser, Click Download Application below. Copyright © 2019 Brysan Utility | Design by AWAKENdesign.